This highly recommended taxi dispatching company will answer their phone 24/7 and get you a taxi usually within 10 minutes wherever you are on the island at whatever time night or day. We heard great reviews for their services from crew last season particularly for late night and early hour pick-ups. Operates a fleet of 4 highly impressive ‘super smart’ black vehicles to suit all occasions. 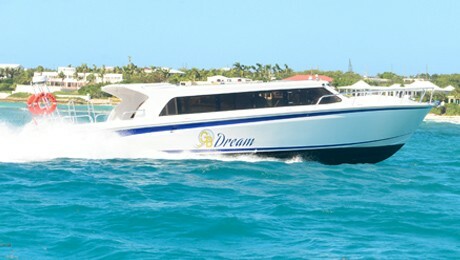 Well presented, reliable and totally courteous ‘Big Time’ - runs this highly respected 24/7 taxi and shoreside service for owners, guests, Captains and crew. Top Quality offers full VIP handling and transportation solutions… from a choice of smart vehicles including luxury VIP bus, SUV or Stretch Limousine vehicles. Discretion, professionalism and punctuality are the key elements to Top Quality’s service standards.